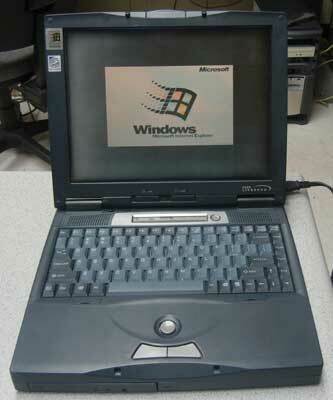 Fujitsu Lifebook C350 refurbished laptop with Windows 95, serial port and floppy drive..
Windows 95. 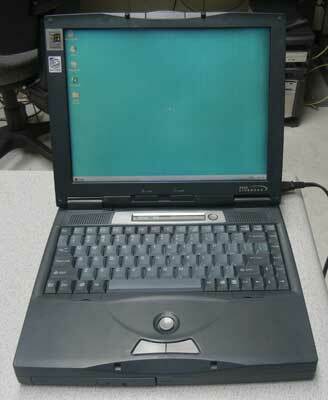 If need be, we can convert it to Windows 98 or DOS. NOTE: On used laptops, Battery is NOT covered under warranty, it may or may not hold charge. Even if the battery does not hold charge, you can still use it with the AC Adapter by plugging it to your regular household power outlet. We test our laptops to ensure they work. On top of that we give you a 30 day warranty in case something happens. If you need to add a new battery or modem or any other accessory, let us know and we can quote you.